I have to get this out there - this is my absolute favourite face mask of all time. Big statement, I know. I first tried a little sample of this mask and it was love at first application. 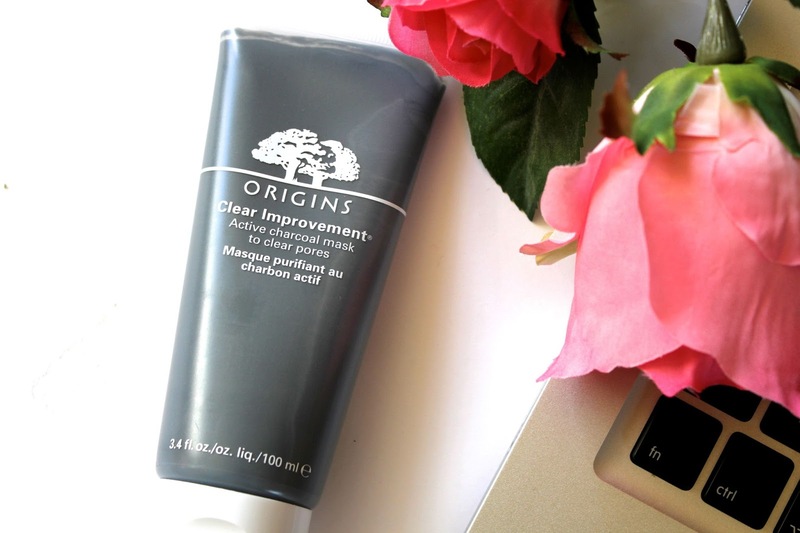 The mask is formulated with active charcoal which is supposed to act like a magnet 'to draw out deep dwelling pore cloggers' and boy does it do just that! open up our pores with a moist, warm towel. I'll admit I didn't do this the first time round, and I was still left lovestruck after feeling how soft and smooth my skin was after washing the mask off. The next day, my skin looked noticeable brighter and smoother and generally in a better state. Since then, I have been using this mask about once a week and have been loving the effects! While I do think I broke out slightly the last time I used it, I feel that this was only the mask doing its job, drawing out blemishes that were only causing trouble under the skin anyway. When I first saw this in store I was surprised by how small the tube was. This made me wonder if it was worth the money. After I first used it I then realised how a little really does go a long way, and i'm now thinking one tube of this powerful stuff will last me quite a while! Its a big thumbs up from me (if you can't already tell!) and I can't wait to try more of the Origins skin care range. This sounds great especially when it 'acts like a magnet' I love deep cleansing masks, might just have to give this a go!